A car accident can happen on any road. While they tend to be more dire on busier roads, they can also occur in suburban neighborhoods or in small times. 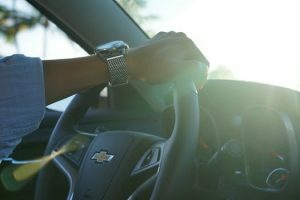 Accidents that occur on freeways tend to cause serious injuries, and drivers should remember to remain attentive whenever they are behind the wheel. On June 8, State police responded to a vehicle crash that occurred on the westbound side of the Massachusetts Turnpike in Springfield. The crash occurred about a mile before exit 6. The incident was called into police around 9 in the morning. Upon arrival, police reported that two motorists were involved the crash. One individual was injured in this accident, but the extent of their injuries is still being determined. Medical care was administered to this individual at the scene. The crash is still under investigation by police. While the cause of this accident is still being looked into by police, it is important to remember that neglect driving can have serious consequences. All drivers must take the duty of care they have to one another seriously and do their part to prevent accidents. Victims who are injured in these accidents can seek the assistance they need to focus on healing. At the Law Offices of Jeffrey S. Glassman, we are committed members of our community, and we want our roads to be safe for all drivers who are on them. We know the dire consequences of some car accidents as we see them up-close. We know that sadly car accidents can happen, so we are also passionate about helping victims find the help they need to move forward with their lives.